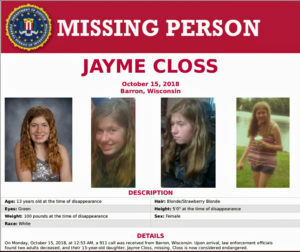 There’s a new development in the Jayme Closs case. 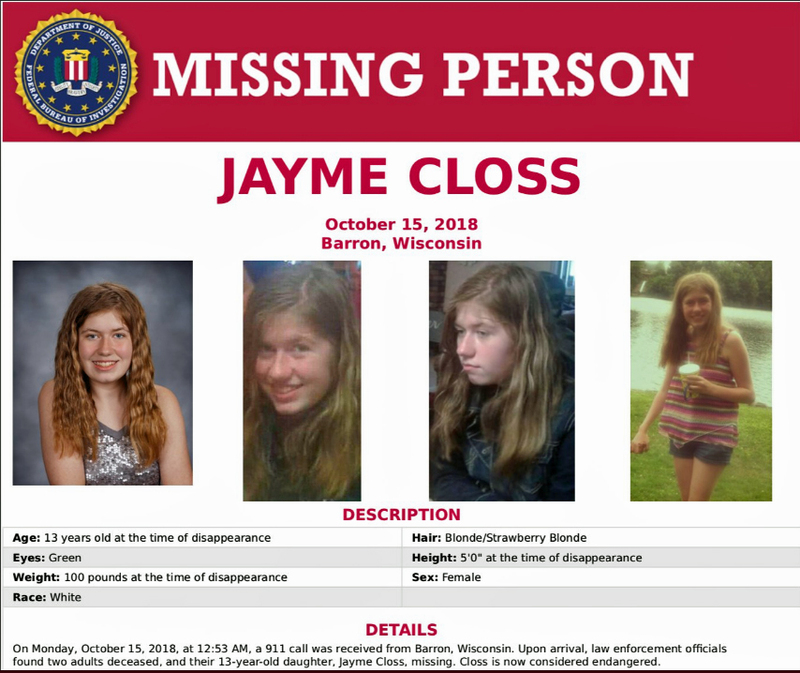 A Barron County Sheriff’s Department dispatch log released on Friday shows that a call made shortly before 1:00 a.m. Monday came from a cellphone belonging to Jayme’s mother. According to the log, no one spoke to the 911 dispatcher, but it was determined there was a disturbance in the background. After the call was disconnected, the dispatcher tried to call the number back several times, but did not receive an answer. Deputies arrived at the Closs home less than four minutes later and found 46-year-old Denise and 56-year-old James Closs shot to death. On Thursday, a ground search involving a hundred volunteers turned up nothing useful. Investigators believe the 13-year-old is in danger, and a nationwide Amber Alert remains in place. Barron County Sheriff Chris Fitzgerald said Friday that the case has generated over 1000 tips. Investigators including the FBI and Wisconsin DCI want information to continue to come in using the tip line (1-855-744-3879). An email address – jaymetips@co.barron.wi.us – will accept any photos or videos related to possible sightings.